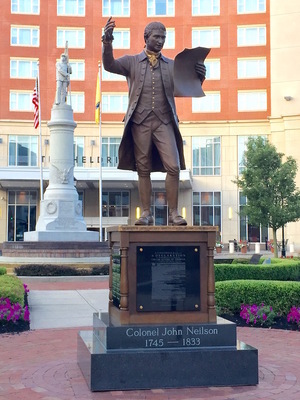 downtown New Brunswick, New Jersey. 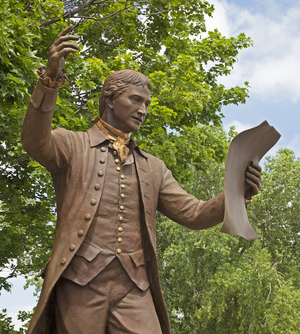 It is to commemorate the historic reading of one of the circulated Dunlap printed copies of the Declaration of Independence that Col. Neilson read in New Brunswick on July 9th, 1776. 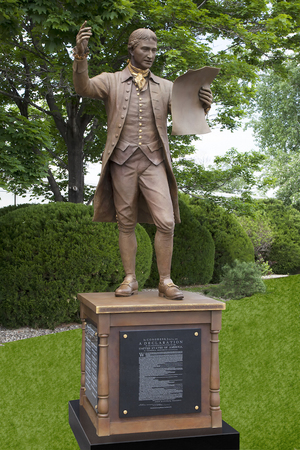 The bronze pedestal is designed after a colonial tavern table that Col. Neilson stood while reading the Declaration.The granite panels on each side of the pedestal have the names of the original 56 signers of the Declaration along with the names of the donors of the monument. The front granite slab has a laser etched Declaration of Independence.